Planning smartly can make things in life possible, and a trip to the Galapagos Islands on a budget is one of them. Many people dream of the fearless and tranquil wildlife that can be found just off the country of Ecuador, but not actually take the plunge and go. Don’t be discouraged by people saying it is difficult and expensive. Start planning now and see the marvels of the natural beauty of evolution. This remote archipelago of 13 large and 6 small islands became famous when Charles Darwin discovered its pristine ecosystems and bountiful wildlife that can be only found, literally, nowhere else on earth. Since becoming the National Park of Ecuador in 1978, its appeal has only increased for visitors who wish to relax and explore this paradise, both underwater and on land. As usual, visiting during the low seasons – from late April to June and early September through November will save you money on flights, boating and lodging. All travelers to the Galapagos Islands will fly into the main airport in Quito on the main land of Ecuador, which is one of the two ports with flights to the islands. 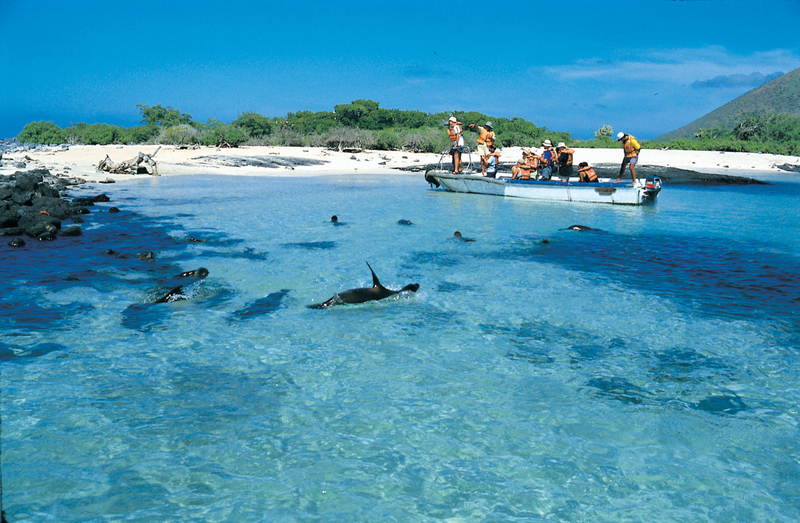 Unless you are traveling by private boat, the only way to get to Galapagos is by plane from either Quito or Guayaquil. Before flying, you must show proof of transport back to the mainland though, it is fairly easy to extend dates of roundtrip flights should you decide to stay longer. You can get an ”open jaw” flight where you would fly out of Quito and fly back into Guayaquil or vice versa. Since there are only a few flights flying to the islands daily, both in the morning, you will generally be forced to stay the night before in which ever airport you flew into. Take this time to explore some of the mainland. Planes arrive on either Isla San Cristobal or Isla Baltra. Again, it is possible to fly into one port and fly back from another. Tours launch from both ports so be sure to plan your trip accordingly. 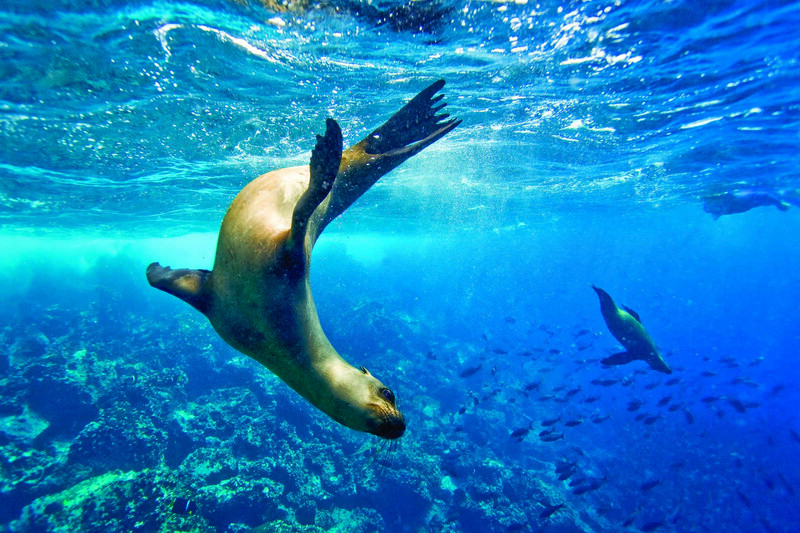 Since the Galapagos archipelago is a protected park with regulations on entry, all visitors must pay an entry fee ranging around $100 USD. Travel around the islands by boat or land requires a registered naturalist guide except when inside town limits, which usually means joining a tour. Most visitors to this beautiful place take multiple day tours on boats that include lodging and meals. Still, there are some options for land-based trips which can be easier on the budget. Cruising tours vary widely in price and comfort. Last minute 4-5 day packages can be booked from the Ecuadorian mainland or in towns like Puerto Ayora. One online resource to visit is www.galapagoscruiselinks.com which allows the operators of the boats to list any unfilled spots on specific cruises so that travelers may search and contact operators directly. Though the overall price will often be higher then staying on land, some find cruises to be a better choice since they allow access to remote islands, water activities and marine wildlife that are often the main draw for visitors. Smaller boats with fewer passengers can offer a more exclusive experience. When comparing cruises or considering any special deals, always check which services or outdoor equipment is provided and how many nights are spent on land. A few packages even include park entry fees and flights. 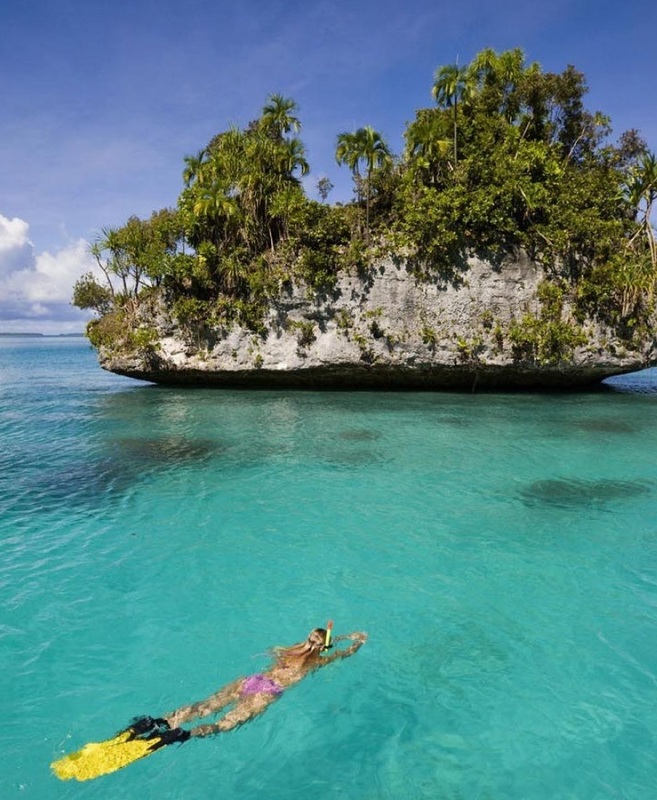 For flexible travelers, the easiest way to save money is to avoid the multi-day tours completely, find accommodation in the several small cities on the inhabited islands and make use of the public transportation between islands and by guided day trips. INGALA is the inter-island speedboat service which travels between the islands of San Cristobal, Santa Cruz and Isla Isabella. One popular home base is Puerto Ayora on the island of Santa Cruz; a dusty town with hostels and a seaport. Isla Baltra is the closest airport, about 2 hours away. The largest of the informative centers run by Charles Darwin Foundation is located on this island. Lodging and tours can be found in the town of Santa Cruz, with last minute trips available to several uninhabited islands (if there are any cancelations). Another option is flying into San Cristobal airport, where you will be a 20 minute walk from the capital town of Puerto Baquerizo Moreno. The quiet Puerto Villamil on Isla Isabella is accessible via speedboat form Puerto Ayora. In or near both these centers one can enjoy simple lodging, beaches, snorkeling, interpretive centers and the opportunity to join guided trips.